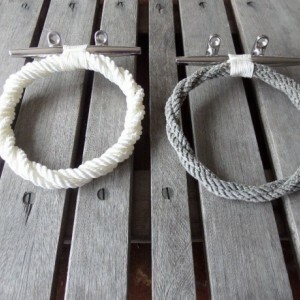 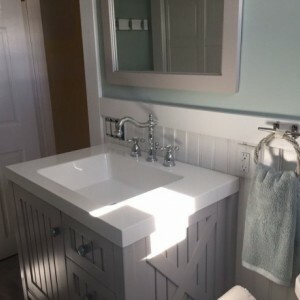 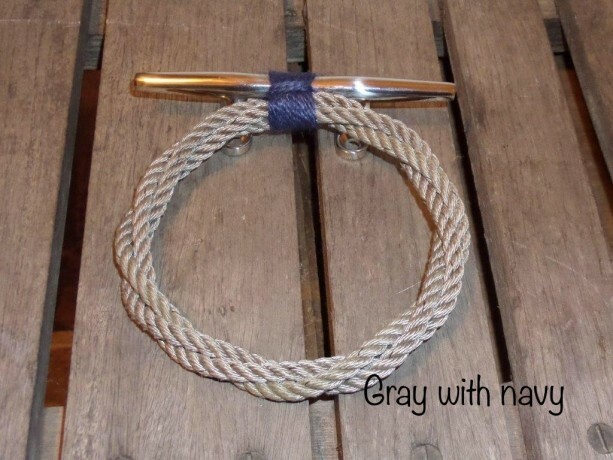 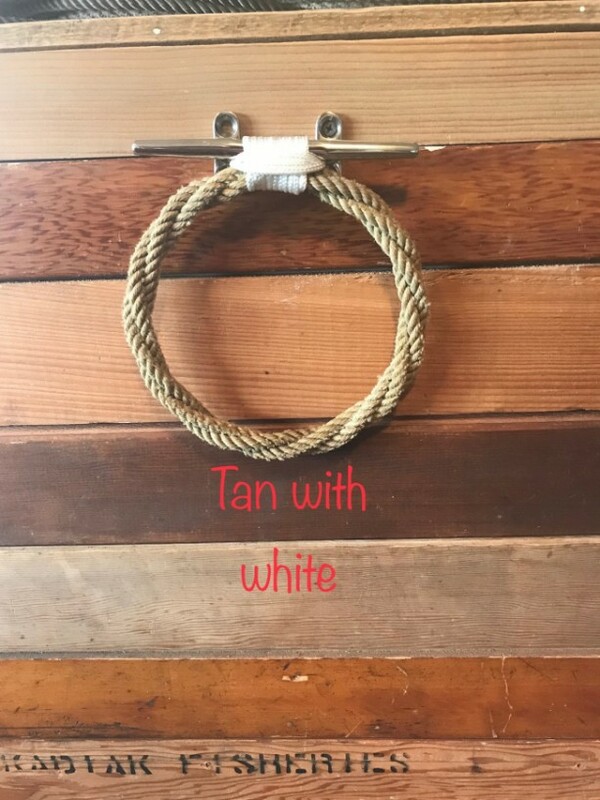 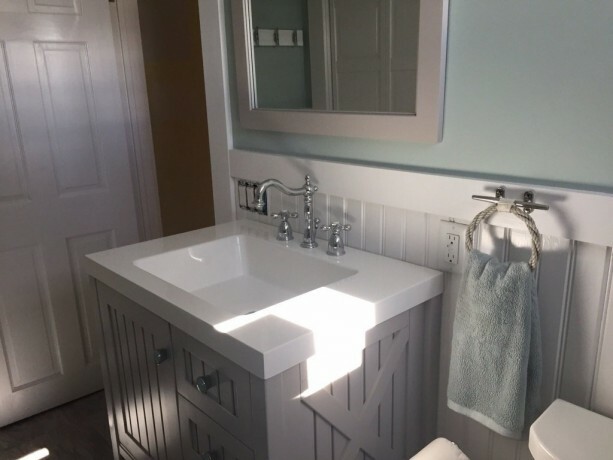 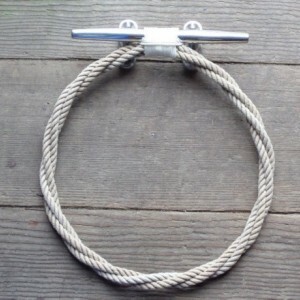 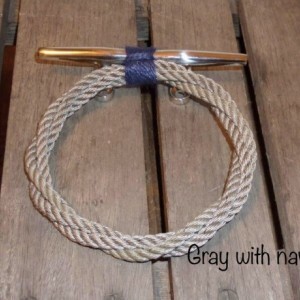 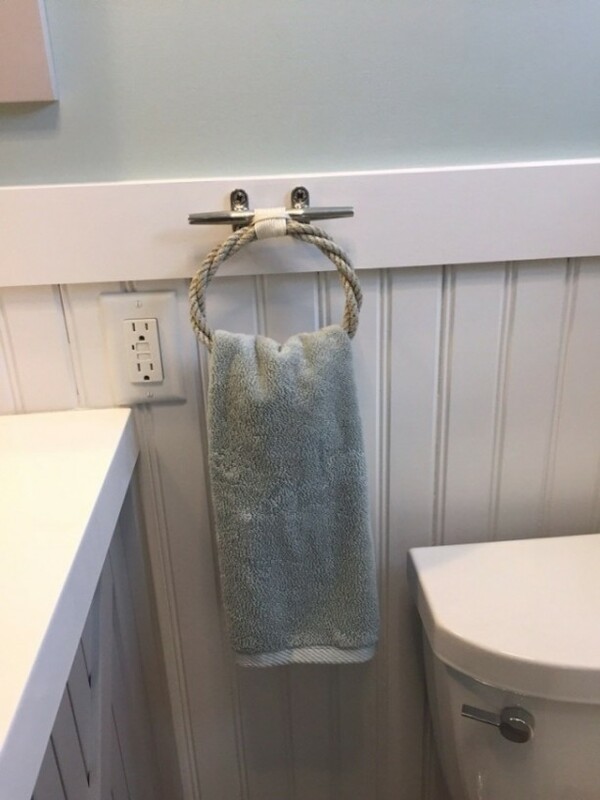 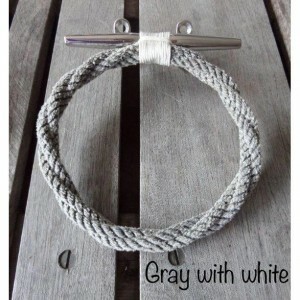 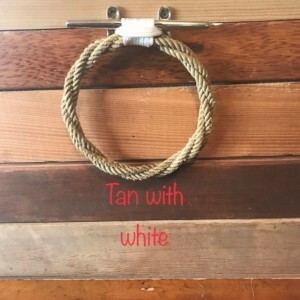 This listing is for one (1) beautiful towel ring made from rope and is secure on a stainless steel cleat that you simply screw into your wall and walk away from a beautiful fixture. 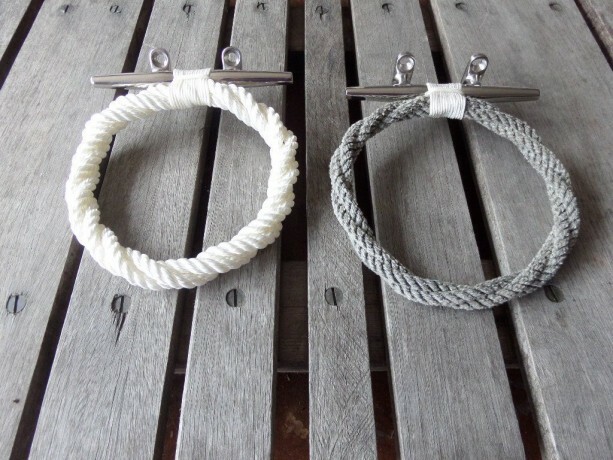 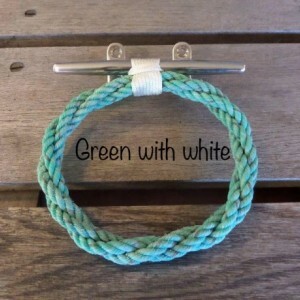 PERFECT Nautical, Rustic, Marine, Beach Decors. 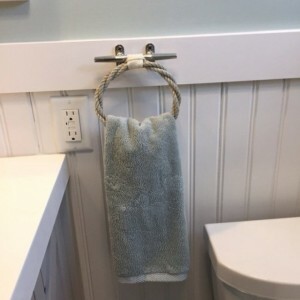 Choose from 6 inches up to 9" rings, with 7 inch size being the standard size for a hand towel. 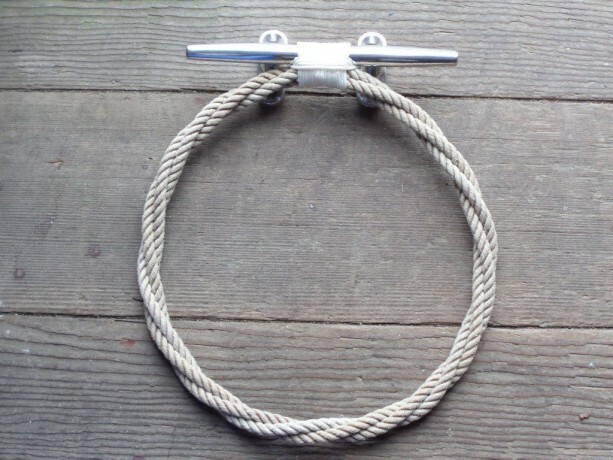 The cleat is 6" and will require 4 screws. 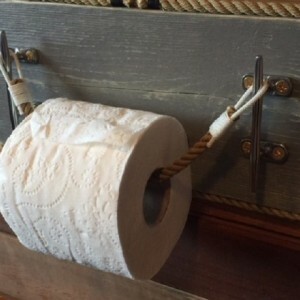 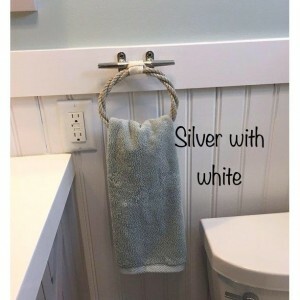 Options silver rope (as pictured with hand towel) gray rope white rope (new) tan rope green rope and accent colors white navy other option please just note it in note section at checkout or contact me for a custom listing. 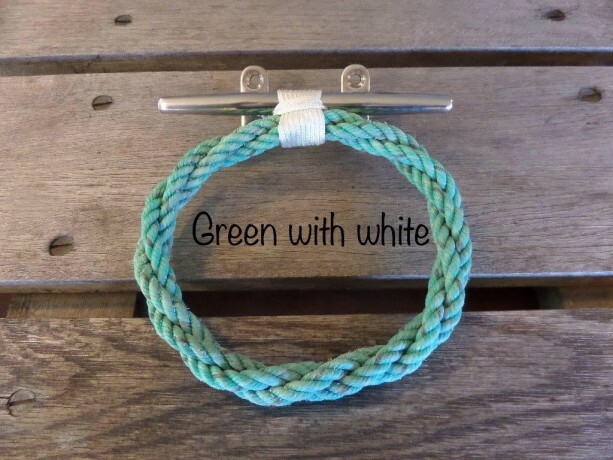 Please contact me if you have another color choice in mind and I will see if we can make it happen. 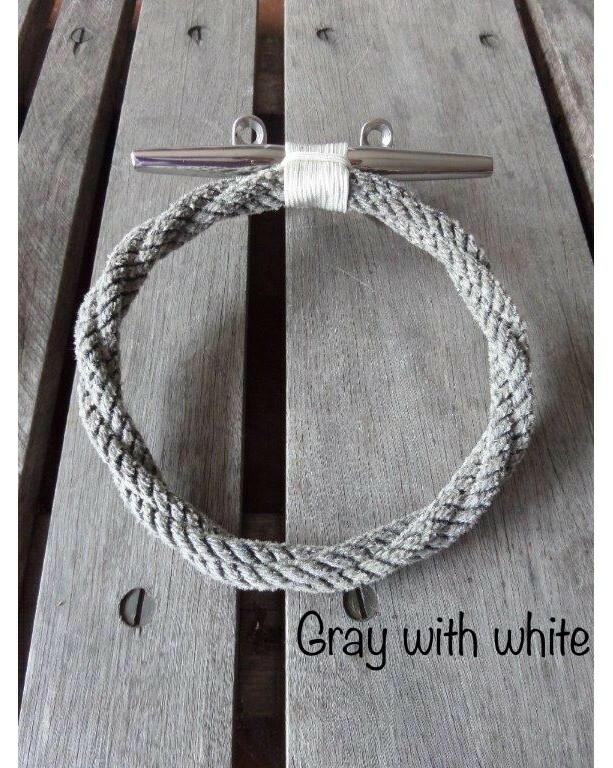 Contact us if you would like a larger size and I will quote you a price.